It gives immense joy and pleasure to see yourself behind the wheels and driving away in a new car. Everyone can drive these days but it takes quality training for becoming a good driver. 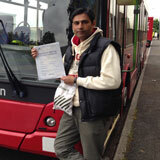 GP training at Harrow offers comprehensive packages in LGV, HGV and PCV vehicles. One of the best things about GP training module is hat it covers all the major aspects of the driving and makes sure that you are able to handle even the worst circumstances when it comes to driving ability. With the support of quality and experience instructors at GP training, one can easily see themselves landing up with driving license for all types of Vehicles. The LGV, HGV and PCV training modules also covers the theoretical part so that you can have a better understanding of the vehicle that you are driving. At GP training, every individual is given sufficient training on vehicles in the category of C1 + E - 7.5t and trailer, C + E Truck & Trailer, D1+E Minibus & Trailerso that they do not face any problem in attaining the respective license. The driver CPC modules also cover the important theoretical and practical aspects so that the drivers can easily pass the examinations. When you opt for driving lessons, you do not want to leave anything in the midst especially when it comes to safety and security of your family. In order to become a successful driver, you must have a thorough knowledge of practical as well as theoretical skills on driving. GP training in Harrow offers a comprehensive package to the customers so that they can learn driving in a much better manner. PCV Pass Protection can literally guarantee the individuals that they will be able to pass the driving license test without any hassles. One of the major advantages of GP training is that it is amidst one of the few training providers, which have been accredited by DSA as well as RTITB. If you are a driver, then you must follow the instructions and guidelines strictly. The school is certified by the DSA so you can validate your certificate anytime. The customers also get special lessons on safety rules so that they can follow all the mandatory guidelines properly. Driving lessons can be a daunting task for anyone who is new to driving but if you have the proper guidance, you can quickly become a good driver. 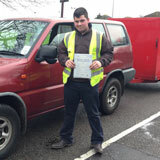 B + E car and trailer training includes a professional instructor which will guide you through the details. The car and trailer training is also done in a stimulation chamber for giving initial control to the individuals. With these techniques, the drivers can attain a better understanding of the environment. 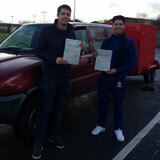 GP training in Harrow, London operates with the aim to provide best support to the aspiring drivers. The driver CPC module 2 and 2 with driver CPC modules explains the technical aspects of driving in details. Sepearte instructors are given to individuals for theoretical and practical training. 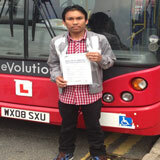 GP training also offers D1 Minibus training programs for the drivers who already have license for Cars. 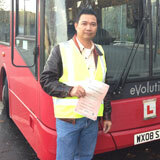 The training module is not only affordable but also gives you the detailed instructions on driving Minibus. If you are in the advanced course, you can complete this training within 4 weeks at the maximum. The learners are taught to become courteous, conscientious, and competent drivers. A productive and friendly approach to the driving not only makes it fun but also establishes a sense of responsibility in the driver. 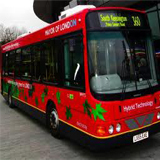 The candidate must have a temporary driving license before applying to the GP trainingin Harrow,London .This is mandatory obligation for all the candidates as it ensures the validity of the school. Young people can apply for temporary license three months before the seventeenth birthday. You also have to provide two passport size color photographs along with the application form. You can opt between C1 license and C1 + E license depending on your requirements. These documents have to be submitted along with the mandatory fee. The candidates must also present address and identification proof along with the application form. With a comprehensive approach, this school offer excellent training facility for the candidates. You can opt from a number of driving lessons, which includes simulation training, cockpit drills and emergency stops. 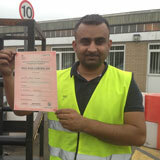 The lessons also include courses on safety checks and hand gestures so that the candidates can drive with safety. 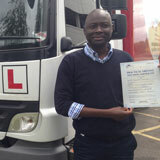 When it comes to LCV and HGV training, GP training is the best option for you. With some of the most experienced training professionals sitting with you, you will get an experience of a lifetime.